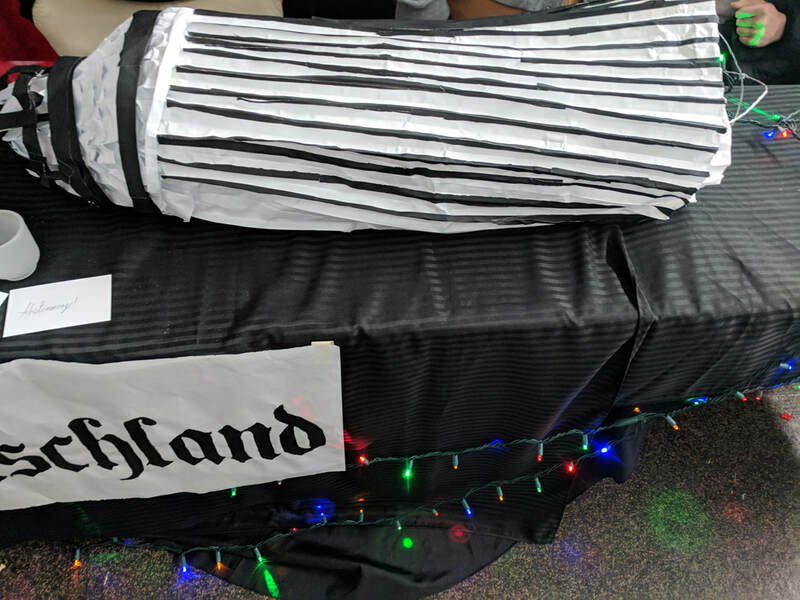 Worlds Fair Project - The DP of Fernando R.
I learned much about how Germany came to be due to unification of Prussian states. It was very interesting that in such a small amount of time, Germany went through so much change and was still able to have a few decades of prosperity. 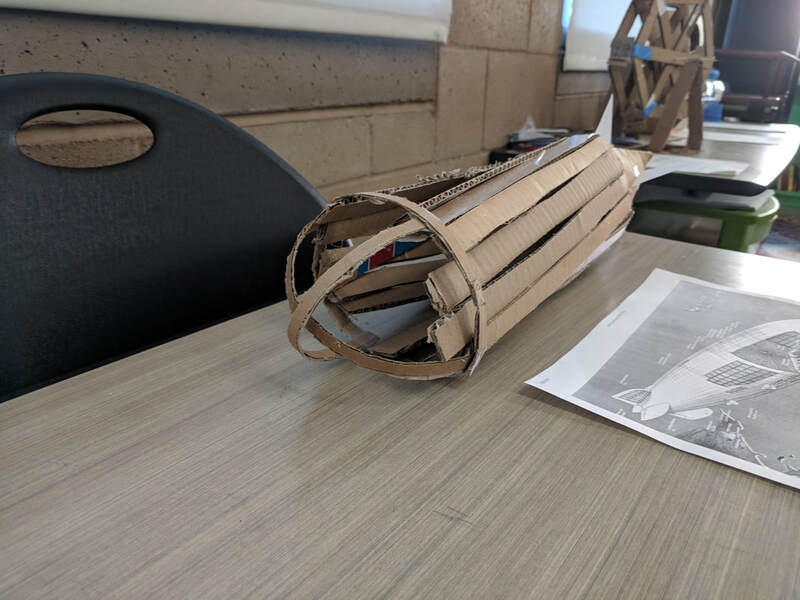 We created a model of one of the early Zeppelins. This was not only to stand out in terms of a final product but also to symbolize Germany’s passion for engineering. I think that we could have succeeded far more if I wasn’t too ambitious. 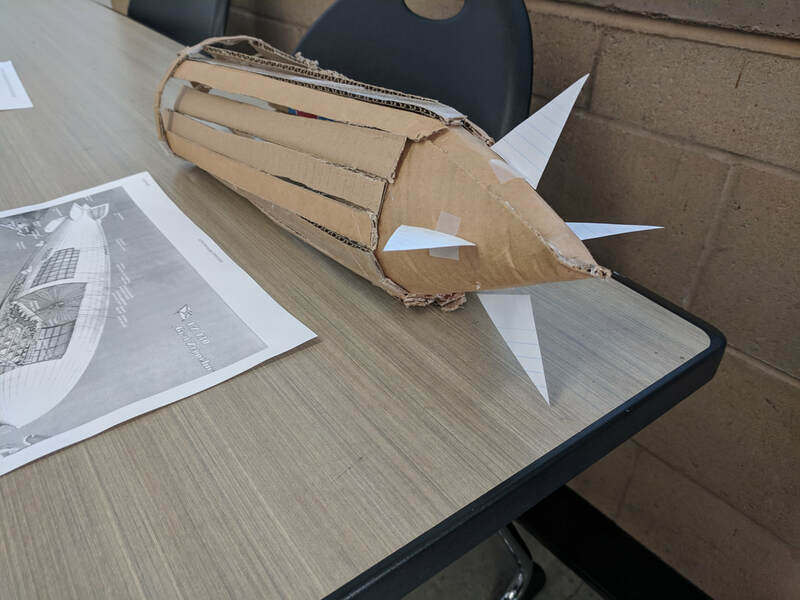 We could have focused on making a flying balloon without a frame and accomplished it but I got too caught up with making it accurate to the original. I would definitely like to learn more about Sweden. I saw their booth and heard that country was fairly progressive for the times. I wanted to see their accomplishments and how they compared or contrasted with Germany, because we were also a considerably enlightened country at the time. I figured that based on Sweden today and in recent history, the country most likely had many accomplishments in its past. 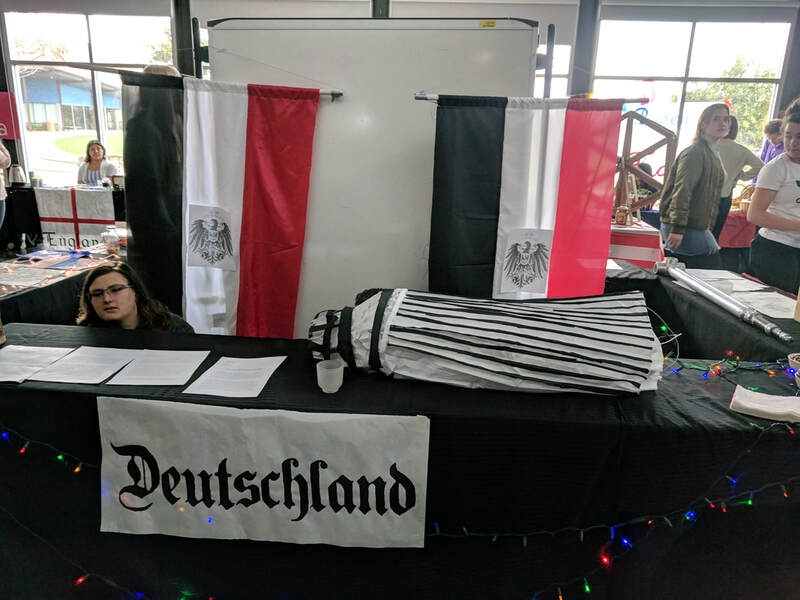 Our booth came together perfectly and really projected the German pride and happiness. We made sure to get a great spot and we thought out the layout in the days preceding the exhibition so that we could stand out in our own way. 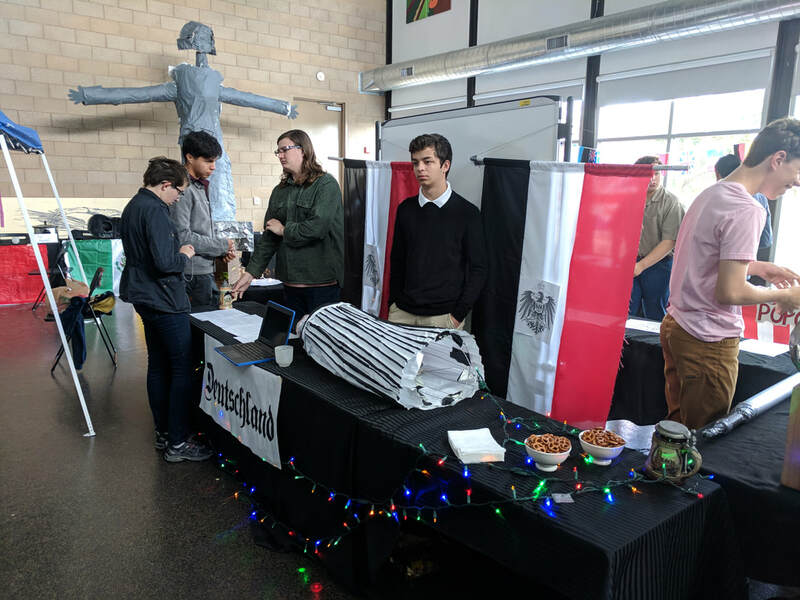 As you can see in the photo above we used a whiteboard to hang our handmade flags and hung a banner on the bottom with the German word for Germany in a Gothic Germanic font. We added all of these decorations (some interactive) to simultaneously frame and take the attention away from our product. We wanted people to view our product but also be drawn to the much nicer surroundings. As far as participation goes, I was very motivated to be a part of this exhibition, at first I was worried because my role was opposition and I assumed I would be at my opposition’s booth for the whole exhibition but this turned out to be false as it was more of a casual walk by to dissuade voters from going to that country. 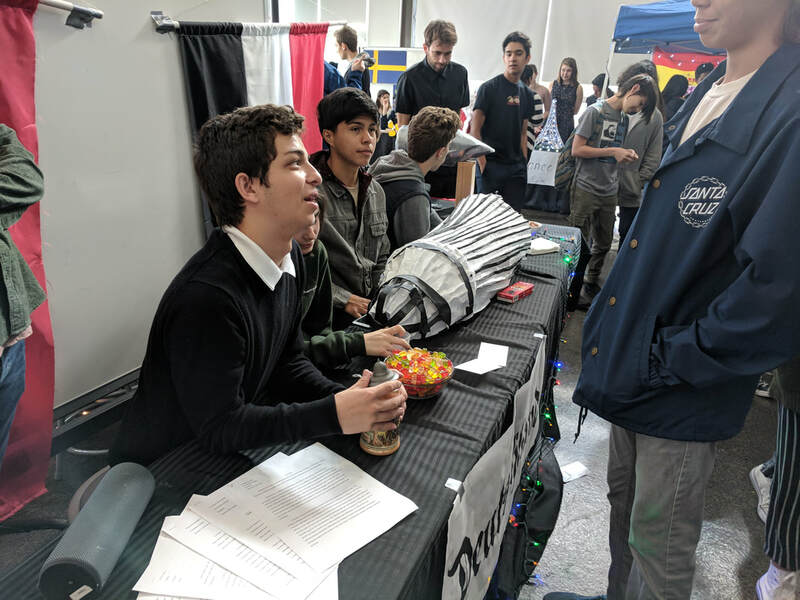 I also became the spokesperson, if you will, of our group; I nearly lost my voice yelling out things like “COME VISIT GERMANY” or “ABSTIMMUNG, VOTE DEUTSCHLAND” and several other facts about Germany’s economy or society. The exhibition met and surpassed my expectations. Somehow we always come together to pull of a spectacular professional exhibition. It is always stressful when we leave the day before with what feels like the whole project needing improvement but this exhibition was definitely one of my favorites.